Pros: Very compact, lightweight yet robust construction. Excellent ergonomics. Impressive list of optical features for this price point. Bright, clear view with excellent sharpness and detail in the centre. Good general field of view. Good low light performance for a mid-size binocular in this price bracket. Cons: Softening of the image at the edge of the field of view can be distracting, especially when panning. Very aggressive focus (3/4 turn) makes focusing fast but the relatively shallow depth of field means it’s easy to overshoot the point of focus. In some conditions a bright “halo” effect appears around the periphery of the circular field of view. 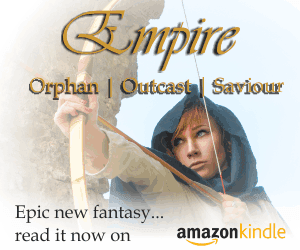 While it doesn’t affect the quality of the central image is a little distracting. Price: RRP c. €310.00 (GB£249.99), although you’ll likely find lower prices online. View the Spirit ED 8×36 on the Vanguard UK website. While they don’t quite deliver the same punch as Vanguard’s flagship Endeavor ED binocular the Spirit ED 8×36 packs a lot of optical quality into a compact, lightweight and affordable package. The image is bright, sharp and detailed with good colour and contrast and minimal distortion, especially where it’s most important at the centre of the field of view. All things considered the Vanguard Spirit ED 8×36 is a great mid-sized binocular that offers high-spec optics at a very compelling price point… well worth a look if you’re in the market for a small birding and wildlife binoculars at this sort of budget. Before I reviewed a pair of Vanguard’s flagship Endeavor ED binoculars in September last year I didn’t know that Vanguard made optics. 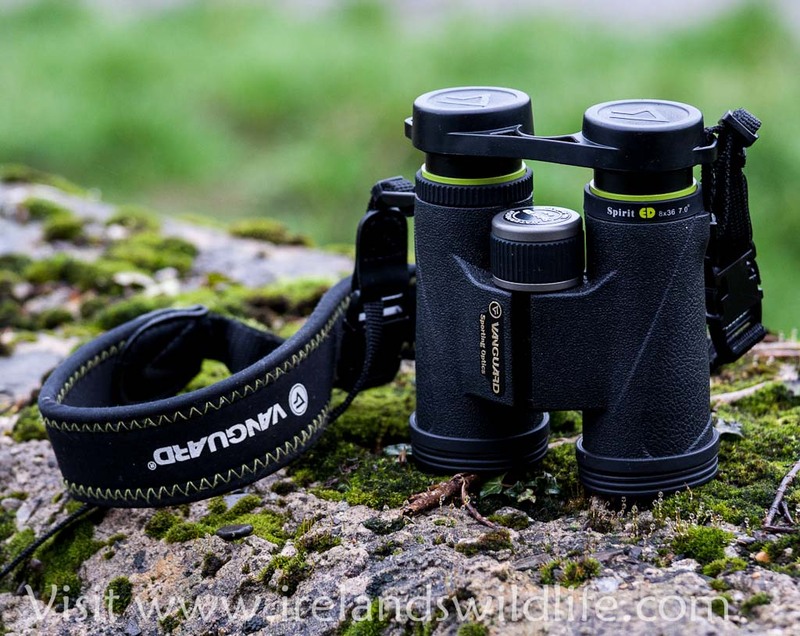 The Endeavors offered an impressive combination of optical quality and handling at a very competitive price point, so when Vanguard Europe offered to send me a pair of their 8×36 Spirit ED mid sized binoculars for review I was delighted to accept. 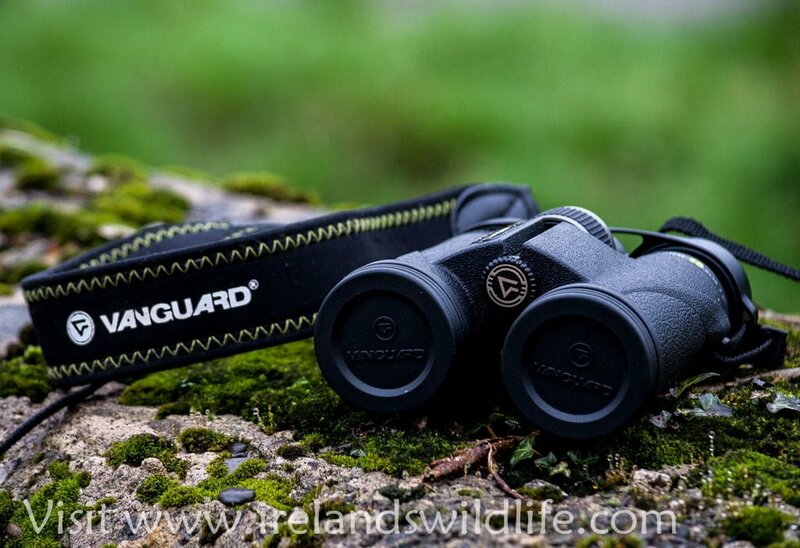 Part of the reason I embarked on reviewing binoculars on the Ireland’s Wildlife website was to introduce readers to a wider range of high quality optics brands, and Vanguard binoculars certainly seem to fit the bill. 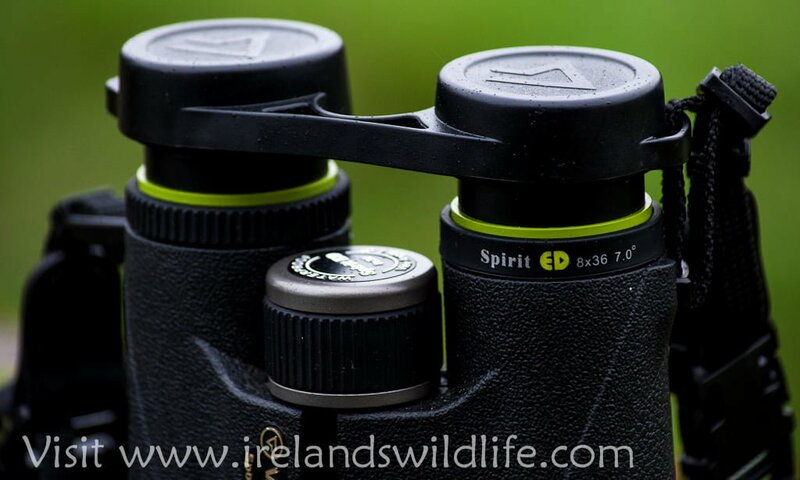 The Spirit ED is a compact lightweight roof prism binocular that feels reassuringly solid in the hand. It’s covered in a tactile black rubber armour that offers both protection for the binocular and, thanks to its textured surface and moulded thumb indents, a comfortable and secure grip. The only downside on the aesthetics front is the distinctive lime green highlighting just below the eye cups. It’s the same as that found on the Endeavor, and is a little too “flashy” for my taste. That’s a purely subjective observation though, and doesn’t have any impact on the binocular’s performance. The Spirit ED’s light weight and compact size make it a joy to use out in the field. Thoughtfully placed thumb indents and contours on the underside of the rubber armour make the binoculars comfortable to hold, and excellent balance means that you don’t experience undue fatigue holding the binoculars up to your eyes for extended periods. Twist up rubber coated eye cups make it easy to adjust eye-relief to suit your eyes — and while the Spirit ED 8×36 only has two fixed positions (fully up, or fully down) in practice you can set them at any point in between, and there’s enough resistance to keep them there. Maximum quoted eye relief is 17mm, which should be enough to give a full field of view for most glasses wearers. The feature list of the Spirit ED is impressive — they sport ED glass in the objective lens element, BAK4 phase corrected roof prisms and all air-to-glass surfaces are fully multi-coated with Vanguard’s proprietary suite of coatings (dubbed V-Max by the marketeers). These coatings are designed to maximise light transmission, improve resolution, and enhance colour fidelity and contrast while minimising glare and reflections. but do all the “A-List” features add up to an A1 viewing experience? The Spirit ED has the same high quality glass and coatings used in the more expensive Vanguard Endeavor ED series, and by and large they deliver similar levels of optical performance. The image in the centre of the field through the Spirit ED is bright, clear and sharp with lots of fine detail. At the centre of the field the Spirit ED matches the more expensive Endeavor ED for image quality every step of the way. Things start to deteriorate as you move out towards the field periphery though. The sweet spot on the Spirit ED is noticeably smaller than in its higher-priced stable mate. But perhaps direct comparison with the Endeavor, while tempting, is a little unfair. The Spirit ED more than holds its own alongside other optics I’ve used in this price range. Edge sharpness isn’t necessarily a deal-breaker either. While it’s good to have, and many high-end optics manufacturers hype-up edge sharpness as a differentiator for flagship models, for the most part when you’re looking through binoculars you’ll put what you’re looking at squarely in the centre of your field of view, and there the Spirit ED delivers admirably. The only time I found the soft edges a bit distracting was when panning across wide open spaces. Even then it was only a minor irritation, perhaps exacerbated because I’m used to high performance wide angle optics. In terms of field of view the Spirit ED 8×36 delivers a serviceable 7° or 122m/1000m. It’s not exceptional for a mid-size 8x binocular by any means, but it does the job, and doesn’t result in a view that feels overly narrow or constrained. I found the colour reproduction of the Spirit ED pretty natural. There is perhaps a very slight warm bias to the overall tone of the image, but it’s only noticeable if you look hard for it or during direct side-by-side comparison with truly colour-neutral binoculars, and results in a very pleasant viewing experience. Contrast is very good, and it’s easy to pick out subtle variations in hue — something that can be critical to accurate identification of some bird and animal species of birds. The ED glass and high quality coatings also minimise colour fringing (chromatic aberration) around high contrast subjects like silhouetted birds. I could only detect minimal chromatic aberration when really looking for it in demanding situations, and didn’t notice any at all in normal use. The Spirit ED 8×36 performs well in low light. It’s larger than standard objective lens (36mm as opposed to 32mm for most mid-size binoculars) helps collect more light at the business end, and the high quality coatings ensure that most of that light reaches your eyes. They’re not the brightest binoculars I’ve ever used… but they certainly deliver a bright, usable image with plenty of detail and colour well into twilight. The focus wheel on the Spirit ED is superb. It’s large and wide with “grippy” rubber ridges on its surface to offer firm purchase with or without gloves. It turns smoothly, with no play and makes for accurate fine adjustment. That’s a good thing, because the focus mechanism on the Spirit ED is one of the most aggressive I’ve ever used. It takes you all the way from close focus to infinity in just 3/4 of an anti-clockwise turn. On the plus side that means you can shift focus incredibly quickly from a butterfly at your feet to the horizon if you need to. It also means the focus is very unforgiving… it’s very easy to overshoot the point of focus, especially when you first start using the binocular. You get used to it quite quickly, but for me it’s a little bit too aggressive to be comfortable. Another thing that exacerbates the issue of an overzealous focus mechanism is the depth of field. The “slice” of the view that appears in sharp focus at any given focal point through the Spirit ED is relatively shallow. In practice that means you find yourself having to adjust focus more often than you might expect as your subject moves or when scanning an area. It can make for a lot of “fiddling” with the focus knob, and that can become a bit tiresome. Close focus is excellent, and I could comfortably focus to within two metres, making these 8×36 binoculars great for watching insects like butterflies, dragonflies at close quarters. The dioptre adjustment that allows you to adjust the focus for individual differences between your eyes is located in the standard position just beneath the right hand eyepiece. There’s no locking mechanism, but it is stiff enough not to move inadvertently once you’ve set it. The coatings on the Spirit ED do a good job of handling tricky lighting situations. Looking into the shadowy foliage of a hedgerow against the early morning light they penetrate the glare well to reveal detail in the shadows. You can’t eliminate glare completely, and while the Spirits don’t come close to matching the very best optics they do perform better than their price would lead you to expect. One slightly annoying trait is that in some light conditions there appears to be a bright “halo” effect around the periphery of the view. At first this can be a bit distracting when it appears, but you soon stop noticing it unless you’re actively looking for it. As you’d expect the Vanguard Spirit ED 8×36 is fully waterproof and nitrogen purged, which prevents internal fogging of the lens surfaces. Waterproof means your binocular will be impervious to wet weather — a vital characteristic if you’re using them regularly here in Ireland — but also means they’re sand and dust proof, keeping the internal surfaces free from debris that could degrade the image. I tested the Vanguards in all sorts of weather conditions and they came through with flying colours. I stopped short of actually submerging them… but there’s nothing to imply they wouldn’t be up to that challenge too. Others have subjected Spirit ED models to far more severe testing, including freezing them solid, and they emerged unscathed. The accessories with the Vanguard Spirit ED are excellent, and demonstrate a commitment and attention to detail that is commendable. The binocular comes with a contemporary high quality soft case; a comfortable, wide, Vanguard-branded neoprene neck strap, tethered objective lens covers and a rain guard for the eyepieces. There’s also a high quality lens cloth included to help keep your external lens surfaces ship-shape. The lens cloth and the strap deserve a special mention — they are as good as or better than those included with many optics costing twice as much as the Vanguards and more. While accessories are relatively unimportant compared to the optics themselves, you have to take your hat off to Vanguard for choosing to add value at this price point with top notch accessories. The only criticism I have with the accessories is that the rain guard fits a little too snuggly on the eyepieces, and can be difficult to remove quickly when the need arises. While the Vanguard Spirit ED 8×36 has its flaws, on the whole it is a very capable mid-sized binocular that offers high spec optical components and very good all-round performance at a very attractive price point. Yes you can get much better optics by spending a lot more money, but if you’re looking for a mid-size binocular with solid performance on a budget then the Vanguard Spirit ED 8×36 is a worthy contender. 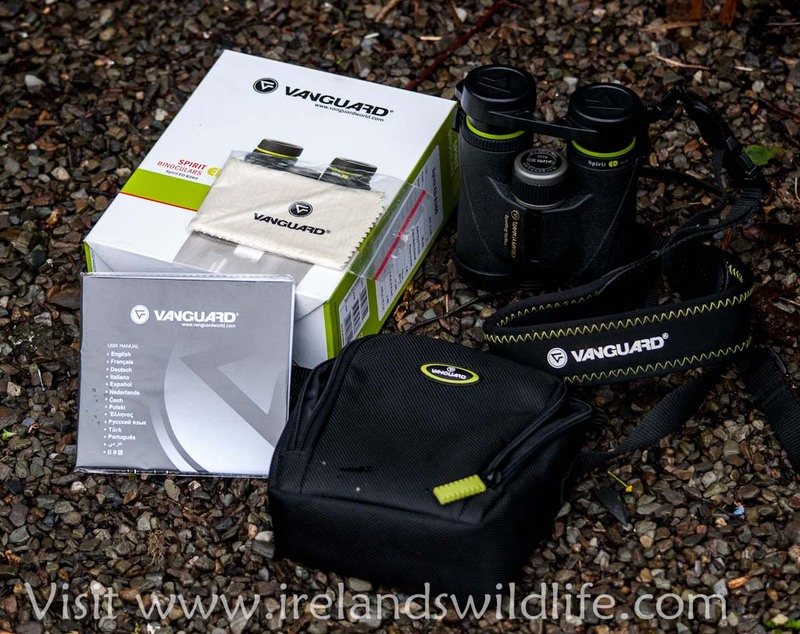 I’d like to thank Vanguard Europe for submitting the Endeavor 8.5×45 ED for review on Ireland’s Wildlife. Thanks for your review, which helped me decide on these binoculars, I particularly like the “super fast focus” which is great for tracking fast moving birds in flight, and didn’t take long to get used to. 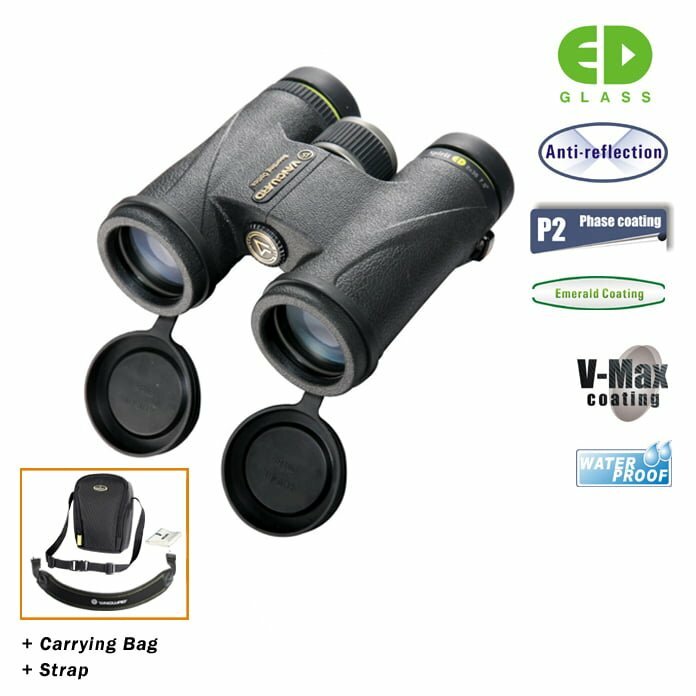 They are a great compact binocular, and as you stated the strap and carry case are high quality, which finishes the deal off nicely. David, Australia. Glad you found the review useful David, and that you’re happy with the binoculars. Vanguard have really upped their game with the Spirit and Endeavor lines in both binoculars and spotting scopes, and offer excellent performance for the price. I hope you have many years of happy birding / wildlife watching with them.